Paddy McAloon is the leader of Prefab Sprout, one of the most important of today’s bands, on the road to promote their latest album, “Jordan: the Comeback”. Next Friday they will perform at the Palau d’Esports in Barcelona, but before that, this young musician looks back over their career and objectives. Expecting a heterogeneous audience? 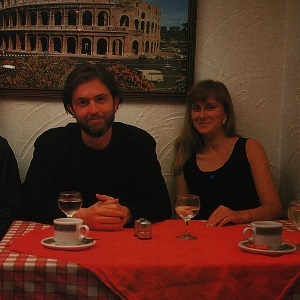 Prefab Sprout’s leader talks of the group’s expectations prior to their concert in Barcelona. 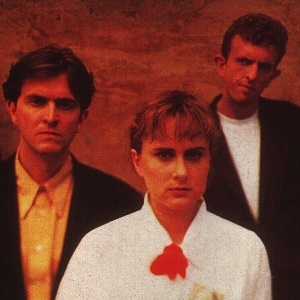 Prefab Sprout is a unique group, the extension of the personality of Paddy McAloon, their leader, a pure talent, a young musician who doesn’t even affect an anti-star image, because he has been raised not to be a star. The singer prefers to move at his own pace and contemplates with a certain horror the world of mass market music from his house in Consett, a small town near Newcastle. Not without a certain weariness, he now has to go on the road to give a greater commercial boost to his latest work… no, sorry, the latest Prefab Sprout work,“Jordan: the Comeback”. This is the excuse that brings him for the first time to Barcelona on Friday to perform at the Palau d’Esports and play some of the best recent songs that have been written in Britain. Prior to that he visited Madrid for TV appearances and to talk to the press. You can’t call Prefab Sprout prolific. Since their debut in 1983 they have recorded just five albums: Swoon (1984), Steve McQueen (1985), From Langley Park to Memphis (1988), Protest Songs )1989, although recorded in 1985) and Jordan: the Comeback. And they don’t perform live much. But that has only increased the aura of mystique that has always surrounded them. “Five years ago we didn’t play live, and the reason is I hate touring”, says McAloon, reaffirming how unwilling he is to enter into the showbusiness routine. Is it not sufficiently explained on the records? What sort of an audience does Prefab Sprout have? We think of you as a cult band. You don’t seem to like current British and American bands, with the trend towards the dance beat? Did you not want to produce it yourself? 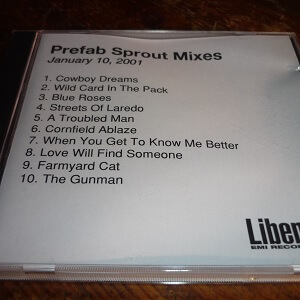 But it seems Prefab Sprout records are very complicated. At least there’s an abundance of recorded material; Jordan: the Comeback has no less than 19 songs. Among the the other members of Prefab Sprout, Martin is your brother, and Wendy your girlfriend. But you write the songs, sing and give interviews. It seems like you’re the only one in control, and the others are merely extras? You make many allusions to films. And does the cinema tempt you? Prefab Sprout are not a very seasoned live group. Are you not afraid to disappoint? Will you one day release a live album?